Answers to frequently asked questions about policy, requirements, grading, and many other topics. 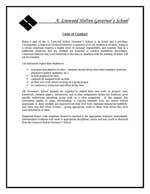 Course descriptions, grading scale, honor policy, and many other topics. 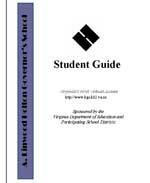 A description of minimum expectations of student conduct while attending the Governor's School. 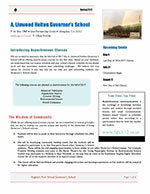 A bi-annual newsletter for students, parents, and friends of the Governor's School. 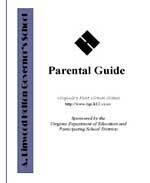 Governor's School Staff and Faculty Directory is available here.